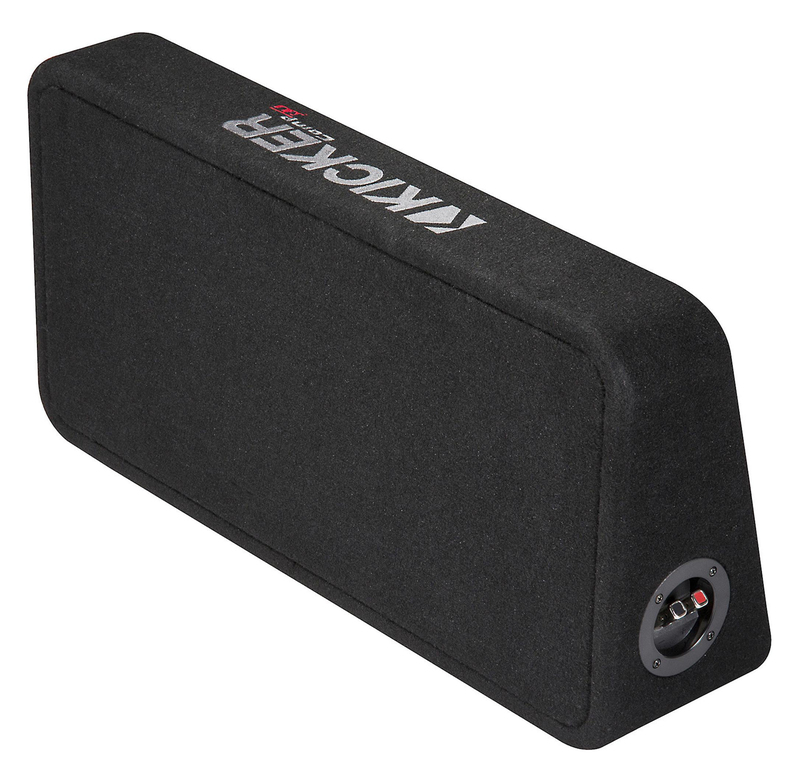 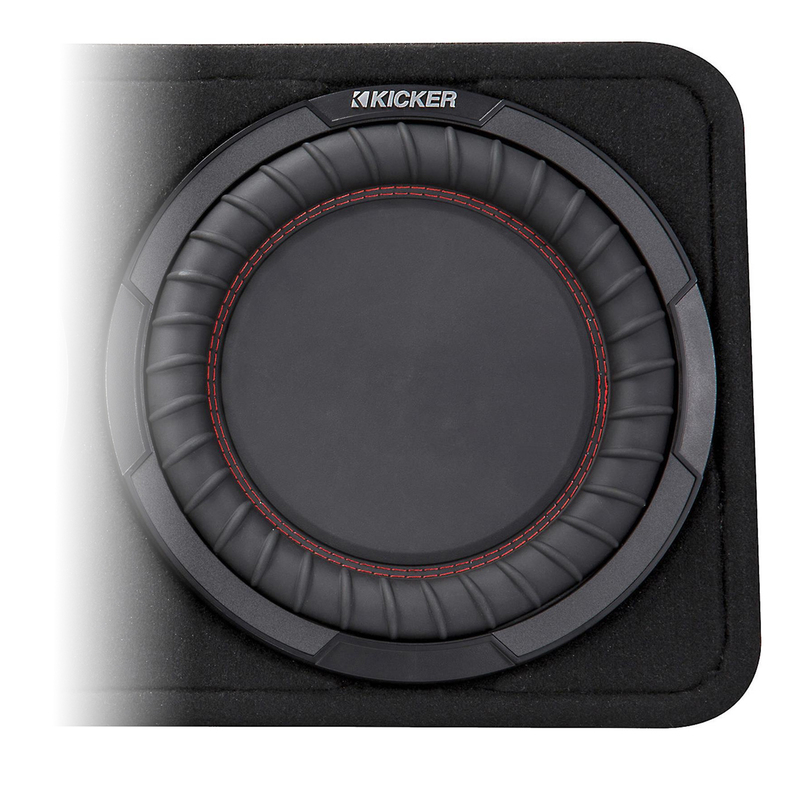 The CompRT Thin Profile 10-Inch Subwoofer Enclosure comes loaded with a Reflex Subwoofer and RT Sub, then carpeted and loaded with a single 4Ω terminal. 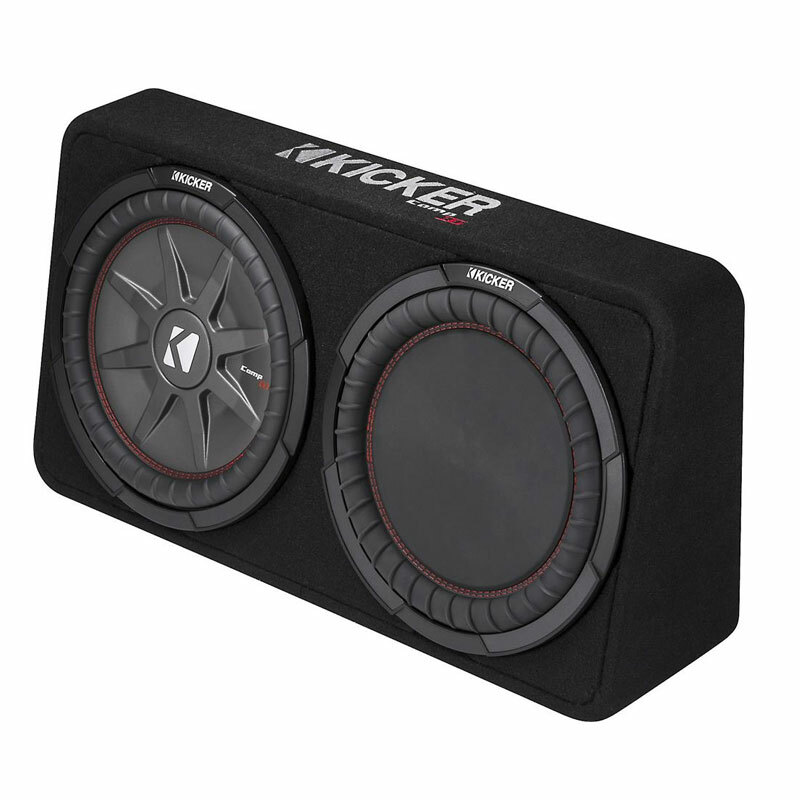 The box stays so thin and generates so much bass is because, The combination of a Reflex Subwoofer and thin CompRT driver work as a team to create tons of bass in a box less than seven inches thick. This thinly made subwoofer produces 400 Watts of RMS / 800 Watts of Peak Power with a frequency response of 25 - 500 Hz while still staying sturdy. 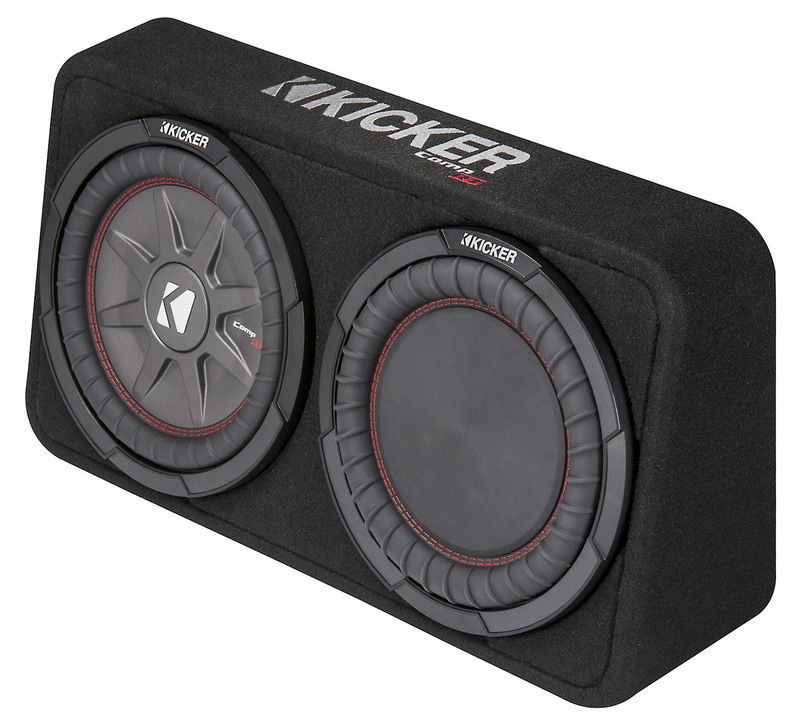 The CompRT 10-Inch Enclosure works best with 300 watts of recommended power.